MORE THAN 500 GP referrals are awaiting ultrasounds since as far back as February at Letterkenny General Hospital, Donegal. 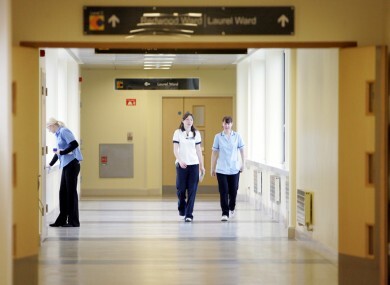 The HSE has now said patients could be waiting an additional six weeks for the hospital to clear its backlog. A direct access scheme for ultrasound from GPs was agreed between the hospital, Donegal Primary Care and Donegal GPs in 2009 and the HSE said this “worked effectively until 2012 when an incremental backlog emerged”. The waiting list of 550 GP referrals occurred due to a number of factors, including staff on maternity leave and an increase in GP referrals, a spokesperson for the HSE said. Additional ultrasound sessions outside of usual clinics will be made available and an imaging room has been freed up so that the waiting list can be addressed over the next six weeks. The HSE said GPs in Donegal have been advised on the measures and The Sun reported this morning that the hospital will no longer be accepting ultrasound referrals until further notice. This will mean patients requiring ultrasounds will have to be treated as outpatients until the waiting list is cleared and this could cause further delays. Email “Some 500 GP referrals awaiting ultrasounds in Donegal”. Feedback on “Some 500 GP referrals awaiting ultrasounds in Donegal”.